Having migrated from Northbourne, Kent, England, my early ancestor Thomas Harris arrived on a pilgrim ship (c.1635)eager to start a new life in New England and then helped settle Providence, R. I. From there a rich history unfolds of generations caught up in the formation of a new country, seeking to be free from oppressive traditions of the old world. 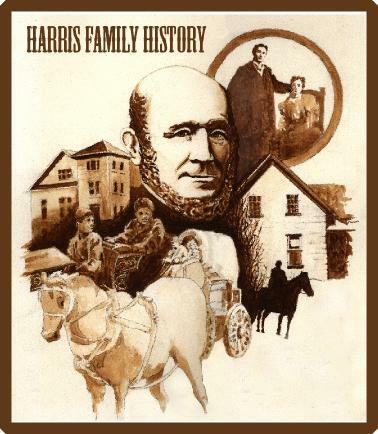 Generations of Harris families were participants in the religious fervor of an emerging nation, pursuing God's truths even at great personal sacrifice. Those early generations believed in God's directing care over them, tirelessly worked and diligently served their families and country. Some migrated westward to New York, Ohio, Illinois and then onward to the far reaches of the western frontier of the US. First Utah, then Idaho, Nevada and California, all have been home to my direct Harris line. All in all we count thirteen generations and over 435 years of family history.